For every happy little toy purchased, another is donated to a child in need! You’ve probably come across this give-back business concept as made popular by brands like Toms and People Water. Now, Grace Lloyd, from New York, is using the same model to help FFR! 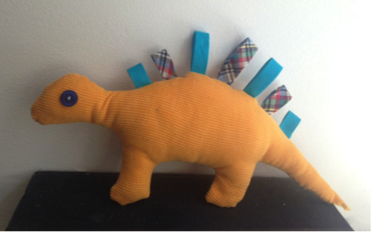 Grace makes hand made stuffed animals that can be purchased on Etsy. When a toy is purchased, another will be made and sent directly to FFR in Romania. The toys will then be given to the children in the Brasov State Children’s Hospital. Thank you, Grace, for your heart and for using the gifts that God has given you! We encourage you to visit the Happy Heart Toy Factory website. Purchase a toy for yourself or for a loved one and know that you’ve helped make a difference in a child’s life.